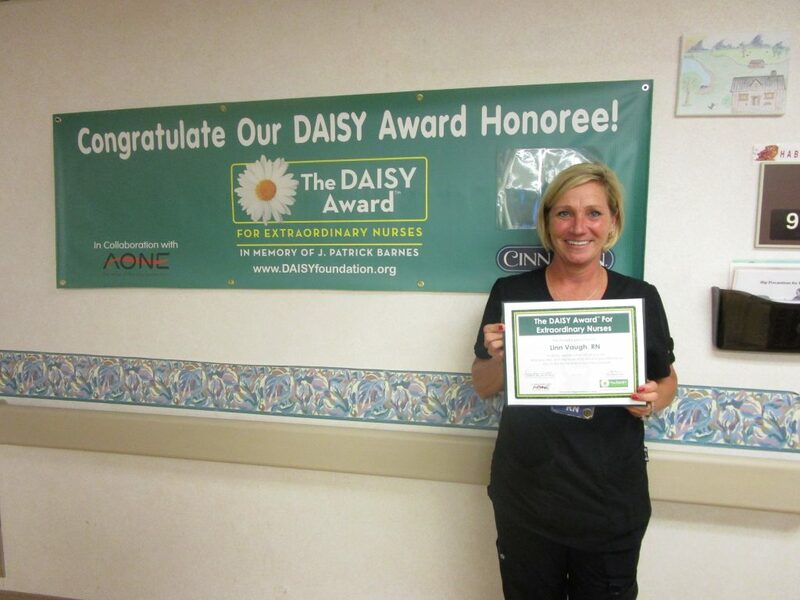 Linn Vaughn, a RN in the float pool, is the recipient of the July DAISY Award. Linn was nominated by a fellow staff member for her ability to make even the sickest patients smile. Linn is quick to think outside the box and develops creative solutions to help calm down anxious patients. She is kind and compassionate to not only her patients, but to all her fellow coworkers including other RNs and housekeepers. Linn embodies the qualities of a DAISY Award nominee.